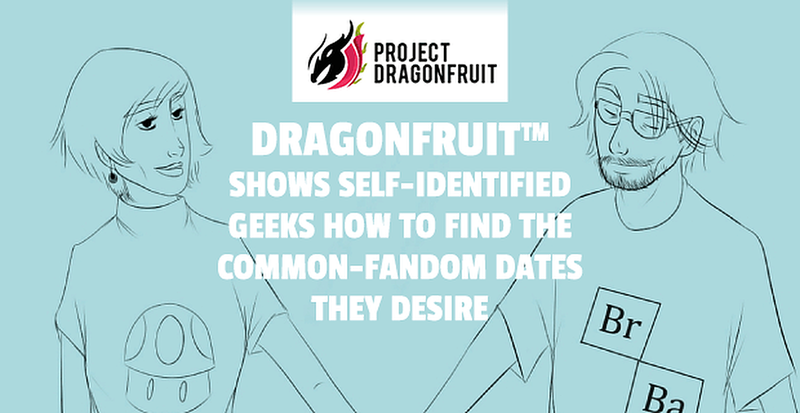 The Short version: DragonFruit is a dating app that helps geeks meet other geeks. On the platform, geeks are defined as anyone with a passion for something — be it bird-watching or an obsession with a fantasy TV show. The DragonFruit matching algorithm focuses on these geekdoms when pairing partners for chatting, meeting up, and dating. Singles who have the same or similar interests are matched. The idea is simple: People who love a certain board game or sci-fi character shouldn’t have to hide. Instead, that shared interest should make finding common ground on the first date that much easier. When most people hear the word “geek,” they may think of folks who love science fiction movies or video games. But on the dating app DragonFruit, that definition doesn’t hold true. While lovers of sci-fi flicks and video games are included among DragonFruit’s dating pool, the site’s definition of the word “geek” is far more expansive. On the platform, the activity a person chooses isn’t important; it’s the devotion that makes them a geek. In generations past, perhaps the word “geek” may have had a certain connotation, but not in today’s world. A geek is someone who wholeheartedly engages in an activity, whether or not it is considered mainstream. But with glitzy dating platforms populated by daters with seemingly general interests, passionate geeks can sometimes feel out of place. Some daters may feel uncomfortable disclosing their geekdom to potential partners upfront, but DragonFruit eliminates that anxiety. The dating app cares so much about its users’ interests that it built them into its matching algorithm. The algorithm pairs users by interest — or geekdom — so they can connect with someone who understands them. That means matching two people within the same fandom as often as possible. However, the algorithm also pairs people with similar interests. The idea is that if daters have similar devotions, even to slightly different things, they can share their interests — and possibly acquire new fandoms. “If someone is passionate about something, they want to share it. We give people a platform where they can share their passions and meet someone who is equally as passionate,” David said. Orie Enav, the creator of DragonFruit, developed the platform for his geeky friends who were having trouble finding success on traditional dating apps. He developed the platform, which is based in Manhattan, with a focus on matching users with the same interests. First, users choose up to three fandoms in which they’re most interested. These include Disney, Batman, TV shows, video games, board games, or even specific characters, among others. 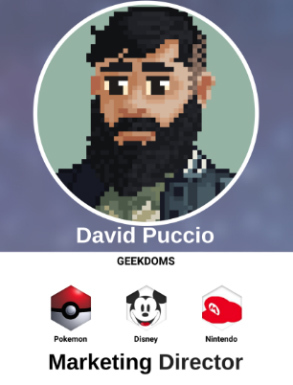 DragonFruit Marketing Director David Puccio’s geekdom includes Disney, Nintendo, and Pokémon, among other interests. “For instance, my geekdoms are Disney, Nintendo, and Pokémon,” said David. After a user completes a profile, he or she is matched with other users who also enjoy the same, or similar, fandoms. Once users match, they can start chatting with one another. The platform saves all matches so users can message one another long after they are introduced. However, if users find someone who they think is attractive, they can still message that person. “We’re very receptive to what our users want,” said David. In addition to a matching algorithm on its app, DragonFruit has a blog that covers a wide range of topics. Posts range from media with a large number of fans, like Steven Universe and Brooklyn Nine-Nine, to dating-related entries like how a shared geekdom can bring two people together. “We love covering dating topics, but we also do self-help and different areas where we talk about different kinds of relationships,” David said. While geekdom might be a unifying term, DragonFruit’s users are anything but homogenous. Not only do they come from all over the world, but they’re a mix of genders, identities, sexual orientations, and ages. Most DragonFruit users fall in the 18 to 36 age demographic, but the platform is split nearly evenly between men and women. LGBTQ users are more than welcome on DragonFruit, too, and daters can choose to identify as a man, woman, or person on their profiles. They can also say they are interested in dating men, women, both, or anybody. “It’s 2018, and we like to keep up on what’s going on. One of our main things at DragonFruit is we want to be as open as possible,” David said. Once users decide to sign up for DragonFruit, they write self-summaries, choose their geekdoms, and answer questions about themselves. The more specific the profile, the better the chances for a match. Instead of users merely stating they enjoy video games, they should be specific about their favorite titles and consoles. The DragonFruit app’s intuitive interface makes it fun for users to find others with similar interests. 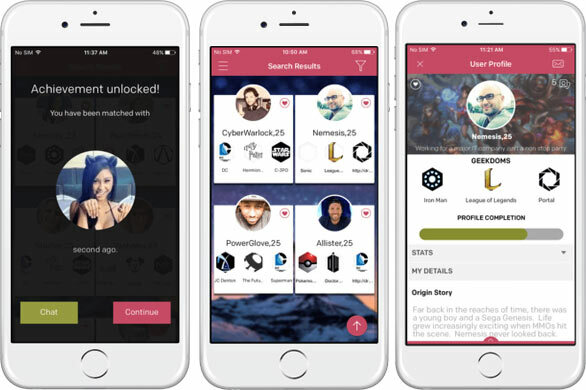 DragonFruit, which is available on iOS and Android, develops matches based on these preferences, though daters can also search for partners whose life experiences and interests intrigue them, as well. As part of its marketing strategy, DragonFruit staffers and interns regularly attend Comic-Cons around the country to introduce users to their platform. At one convention, a person came to their booth to let them know they had gotten engaged to a person they met on DragonFruit. Another couple told DragonFruit staffers they had met on the platform and were on their first date at the convention. David understands those stories well because his investment in the platform isn’t solely professional. As a geek himself, he’s used niche dating sites in his own romantic life. Finding a geek isn’t hard, but finding a dating platform that brings them together based on their passions used to be more challenging until DragonFruit came along. Now, those daters can match with compatible singles based on the geekdom about which they’re passionate. While the platform began with a focus on American geeks, users from all over the world are signing up for DragonFruit. After the app was released, it started getting international attention. A French website recommended DragonFruit, and later the app saw an influx of users from Tanzania. “Geeks are everywhere, and we want to bring on more users, globally,” said David. DragonFruit’s primary goal is to help like-minded geeks find one another. And with every pair of users the platform matches, the DragonFruit team feels a sense of pride in helping singles be their authentic selves online.